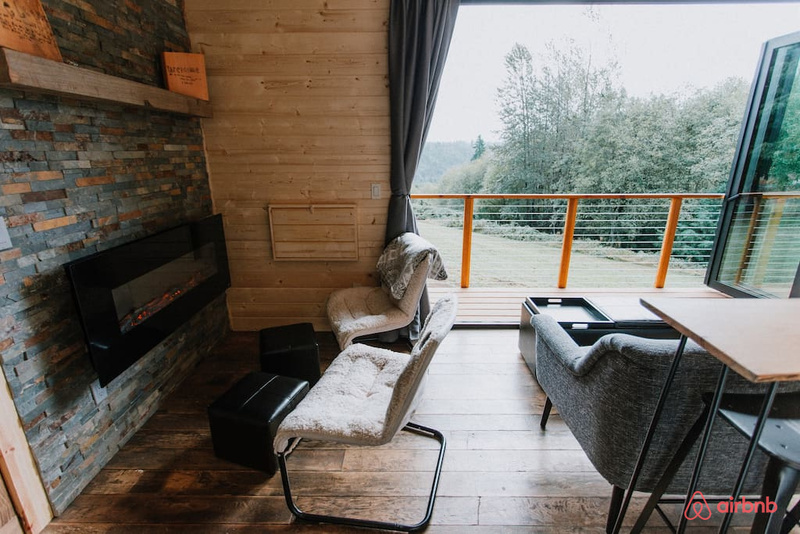 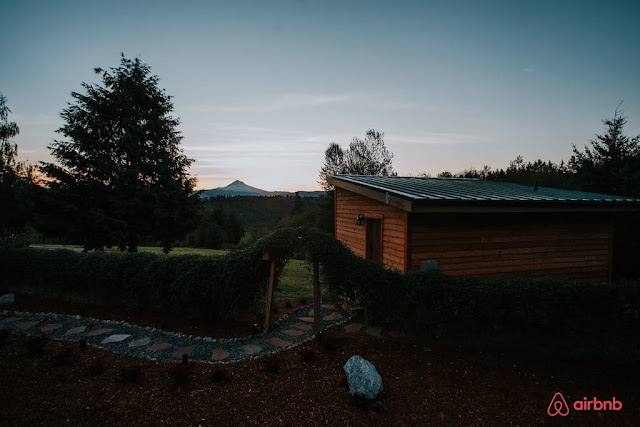 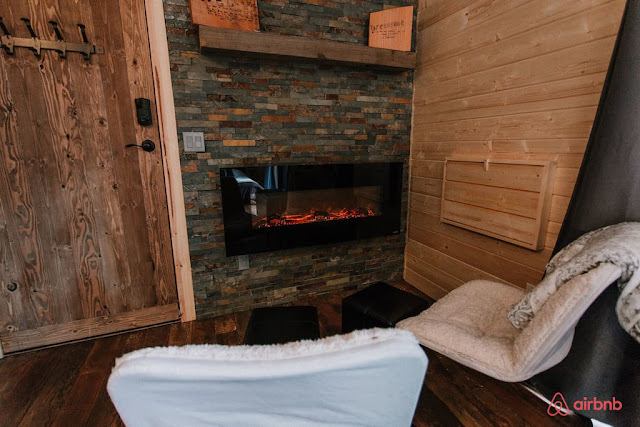 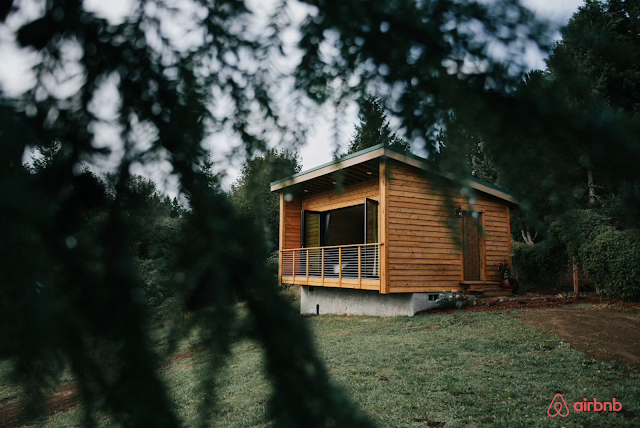 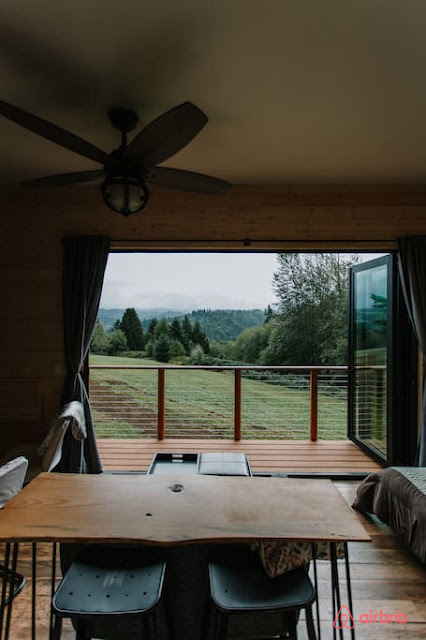 Take in stunning views of Oregon's famous Mt Hood in this cozy tiny cabin! 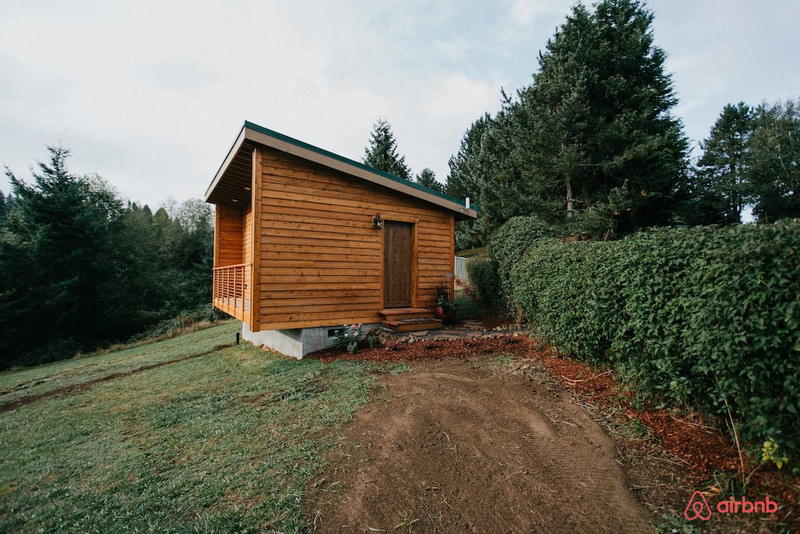 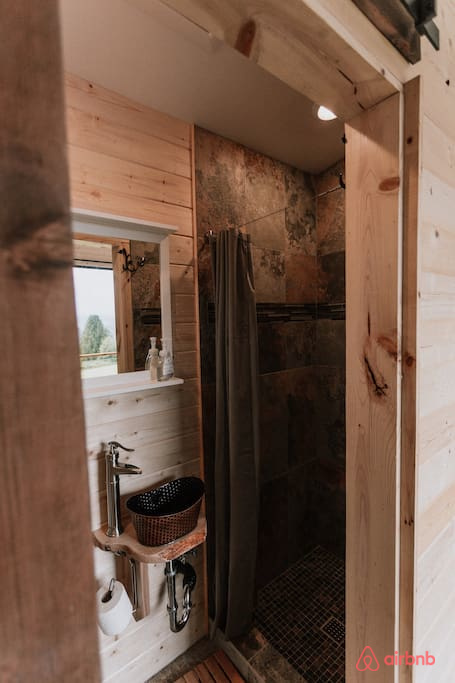 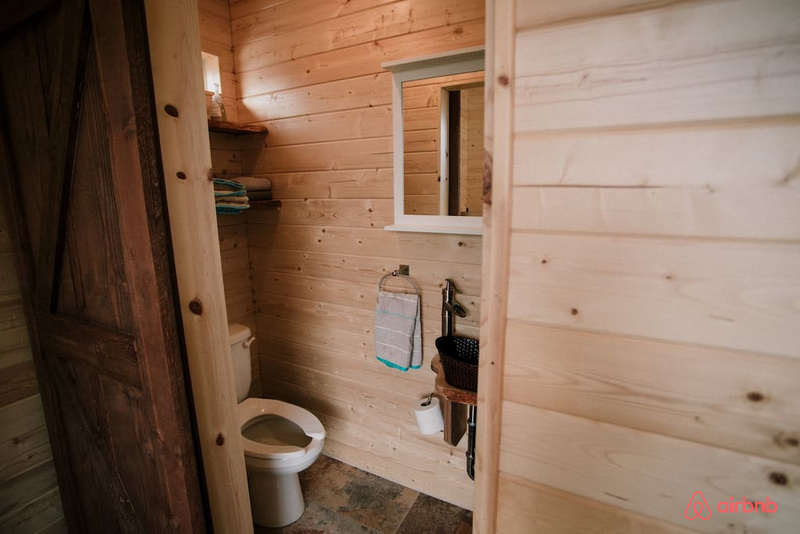 Composed of natural cedar with reclaimed hardwood floors, it's perfect for someone who enjoys a classic cabin getaway with modern amenities. 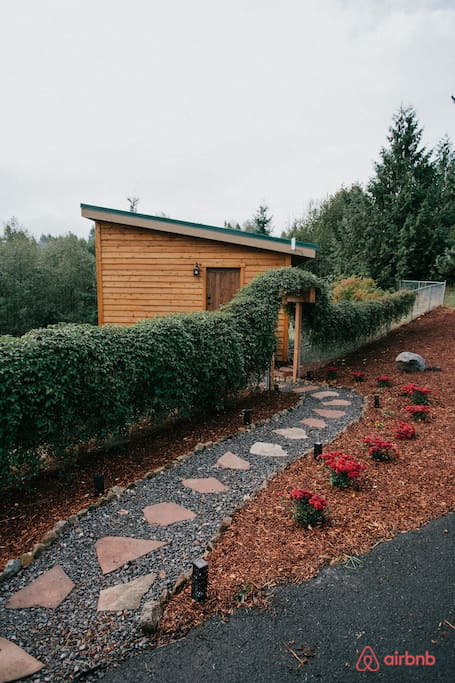 The home is situated on a quiet 25-acre lot, surrounded by wildlife, with room for up to 2 people. 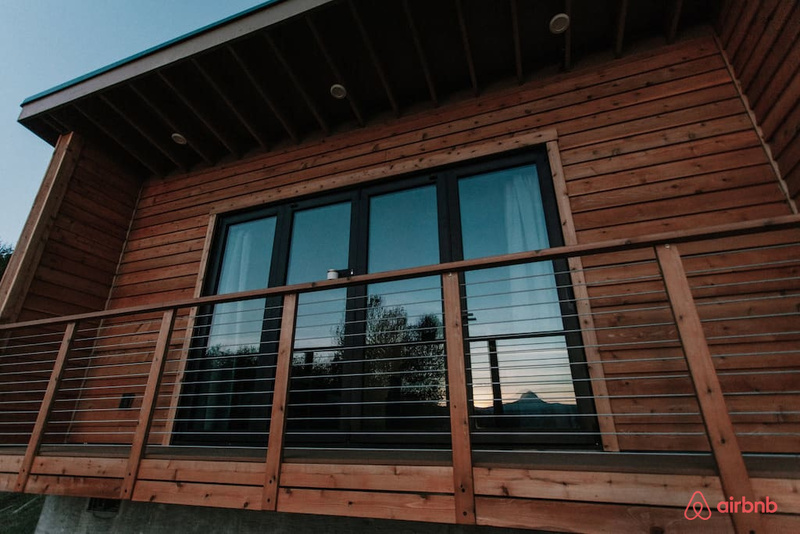 Perhaps the coolest feature of the home is a moving window wall system that opens up the space to the outdoors! 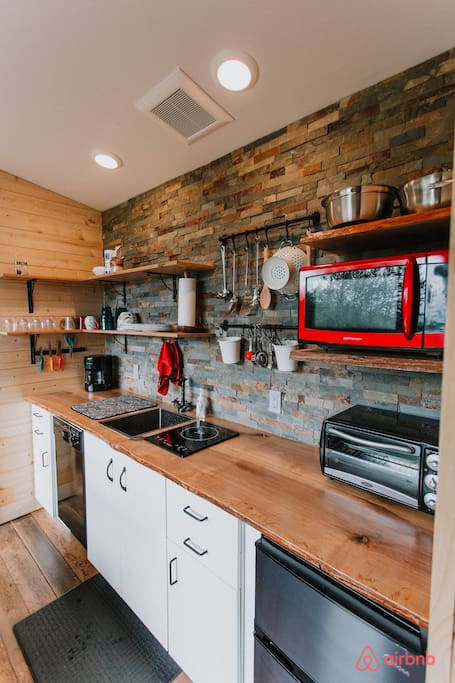 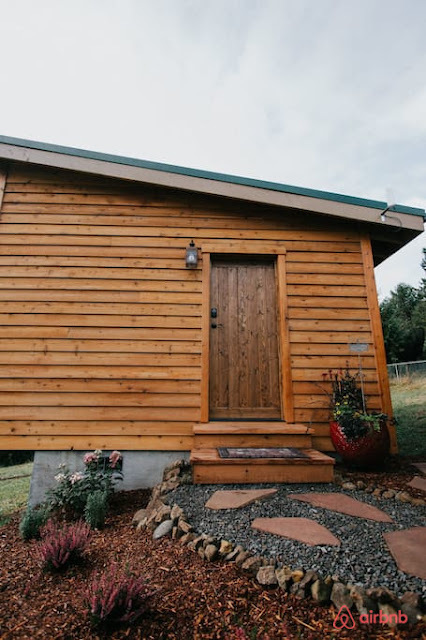 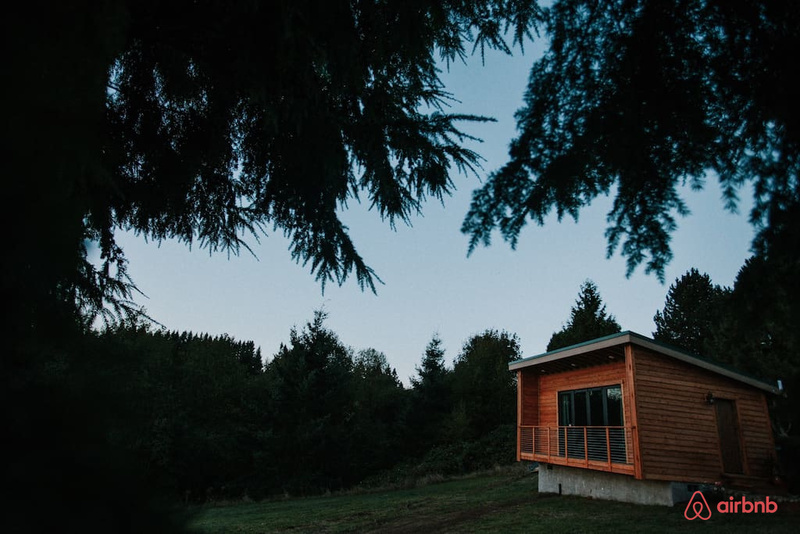 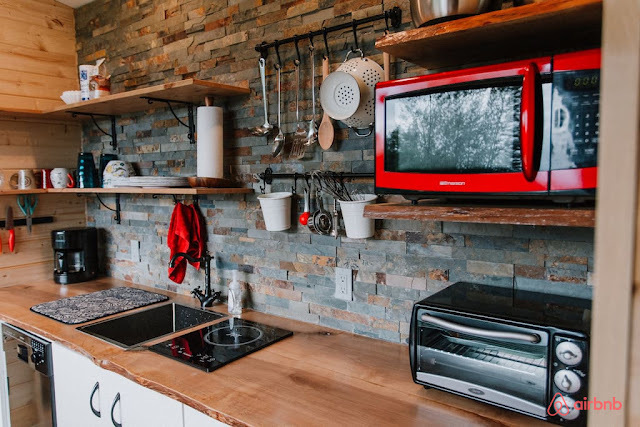 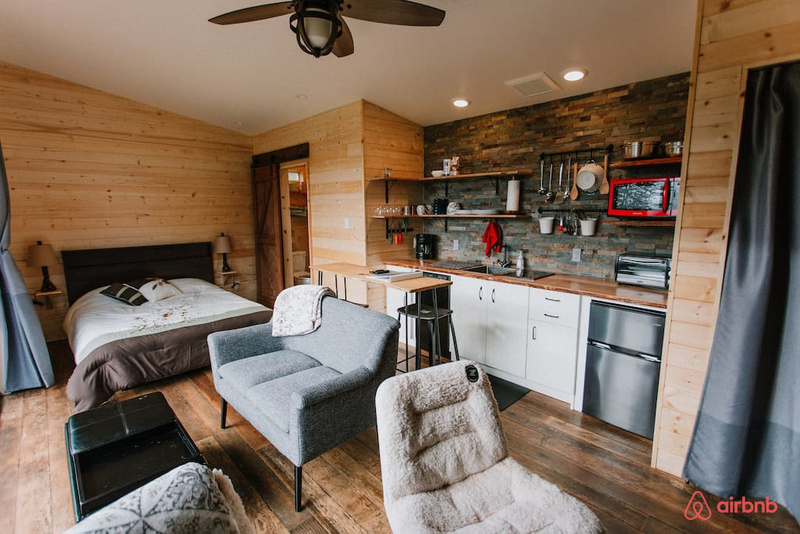 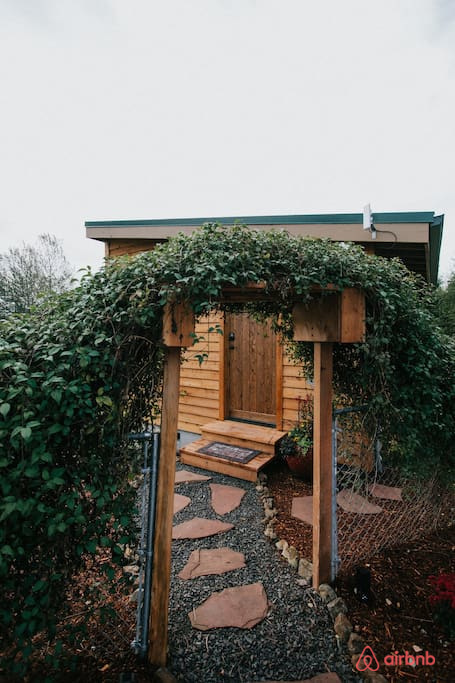 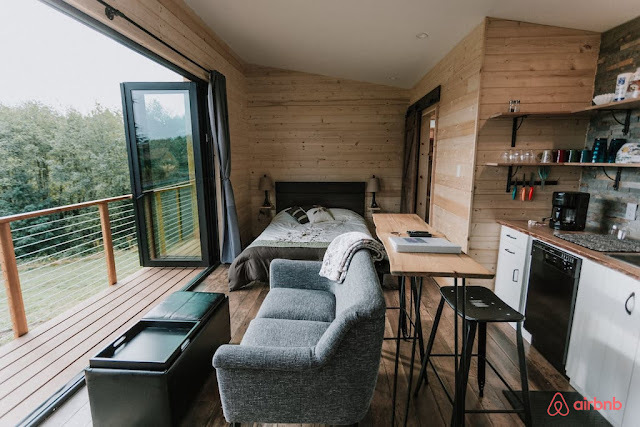 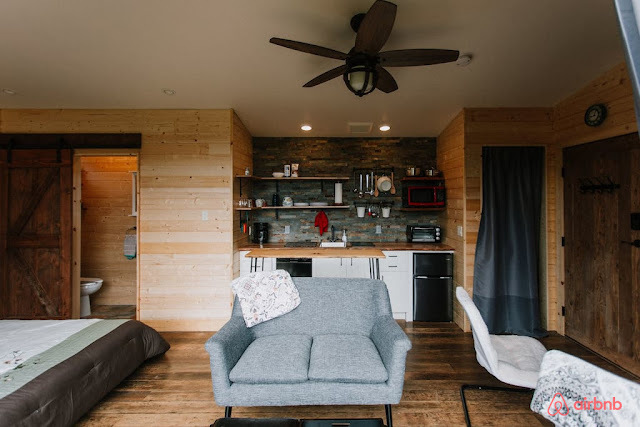 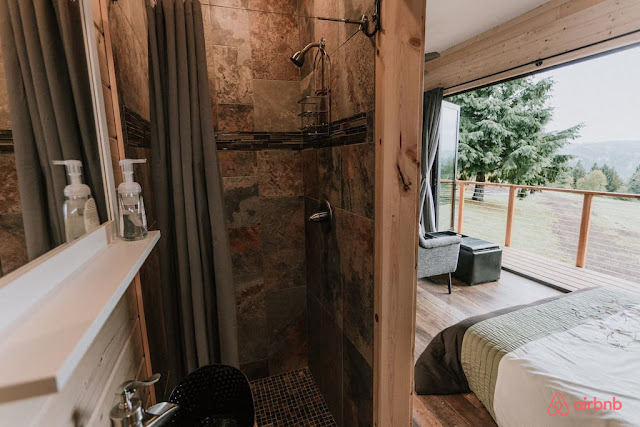 It's currently available in Sandy, Oregon, for $105 a night here on Airbnb!